Featured Jobs are given the added benefit of a greater search presence to attract the attention of your target audience and thereby increasing the quantity of Job Seekers who will see your job posting. They are prominently displayed on all matching search result pages, regardless of which page number the Job Seeker is currently viewing. Job Seekers can choose to view their search results in Enhanced or Classic view, the location of your tile will vary between the two. For Enhanced view, they are displayed permanently at the bottom of the screen, at all times. They will also have a unique appearance when seen naturally within search results. For Classic view, they are displayed within a unique tile at the top right hand side of the search results. They will also have a unique appearance when seen naturally within search results. 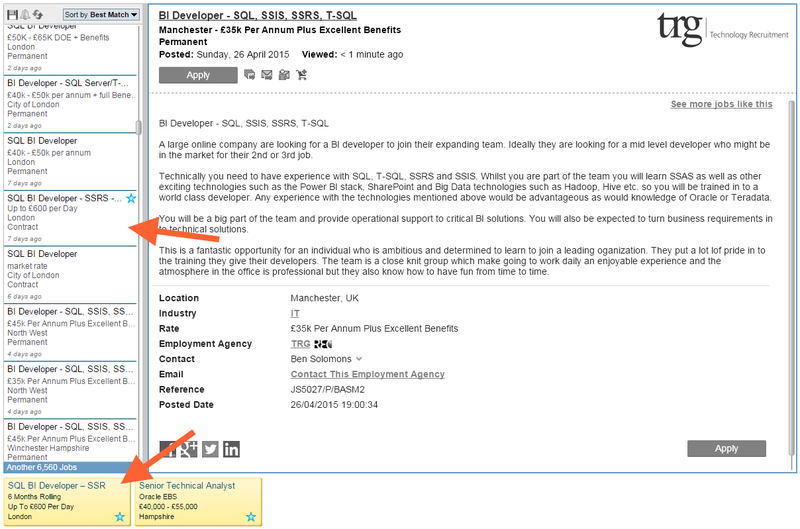 When a Job Seeker clicks the tile, a fully detailed popup window will be displayed on top of the current page. This popup will include all of your job details in full and your company's logo/banner can also be displayed here (please contact your account manager for more details). Our patented Alchemy matching system has been in existence since 2006 and continues to help deliver increased responses to jobs. Alchemy pioneered the use of Job Seeker behaviour to enhance the matching of potential jobs to every user of the website. 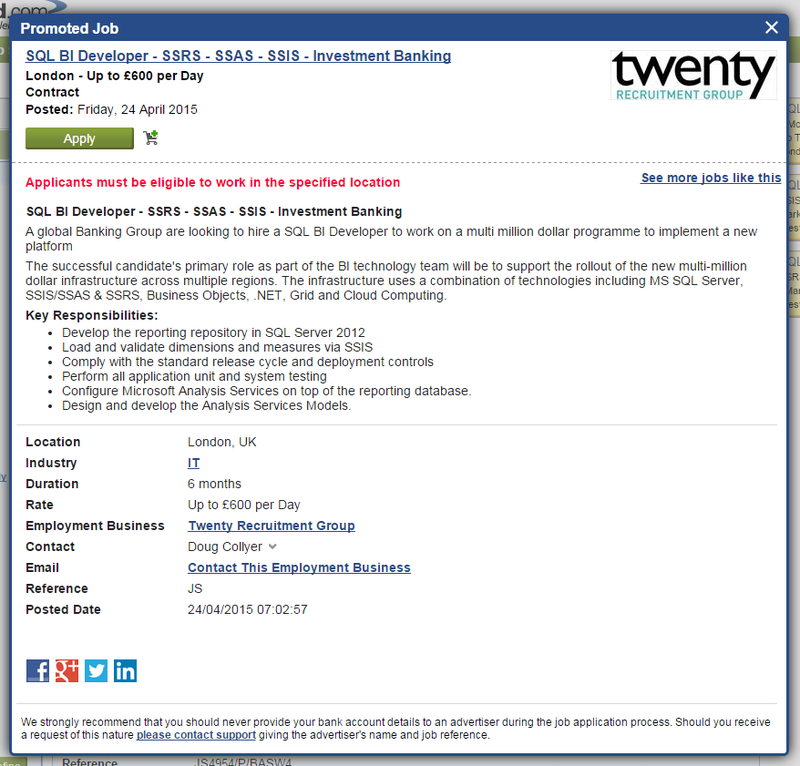 With continued activity on the site potential matches for your job can appear any time. Featured Jobs prioritises your job so that it is matched more often. 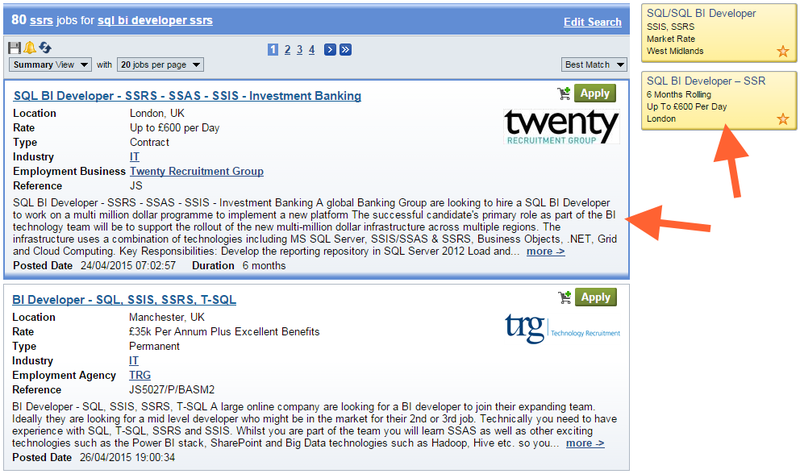 To feature your job postings, you may post a new job or 'Promote' a live job with Job Manager. Would you like to feature your jobs to specifically target overseas candidates? Learn more about International Promotion. For more information contact our Sales team.